As a renowned power protection specialist our expertise and experience ensures we supply our clients with the latest in uninterruptible power supply (UPS) technology. Our independence enables us to offer an unbiased UPS solution that is tailored to your specific needs, every single time. Whether you require a small plug and play UPS system or a comprehensive UPS for a critical Data Centre, we can help you with all aspects of your UPS needs. It is imperative that safety rules must be implemented prior installation of the UPS.The UPS must be installed in a space with restricted admittance (qualified personnel only). 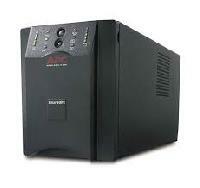 A UPS has its individual peripheral power source (the battery). 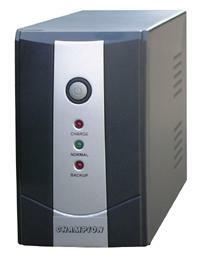 Subsequently, the powers outlets may be energized even if the UPS is cut off from the AC power source. 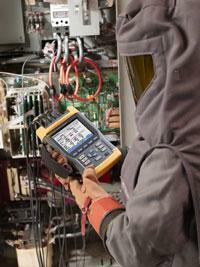 Hazardous voltage levels are present within the UPS. It should be opened utterly by qualified overhaul personnel. A safeguard circuit breaker must be installed upstream and downstream, and be without problems accessible. 1)Under no circumstances install the UPS near liquids or in an excessively damp environment. 2)Never let a liquid or foreign body penetrate inside the UPS. 3)Never obstruct the ventilation grates of the UPS. 4)Never expose the UPS to direct sunlight or a source of heat. 5)When replacing battery cells, use the identical type and number of cells. The UPS connection instructions enclosed in the manual must be followed in the indicated order.Ensure that the indications on the rating plate match up to your AC power system and to the actual electrical utilization of all the equipment to be connected to the UPS. 1) If the UPS must be stored prior to installation, storage must be in a dry place. The admissible storage temperature range is 25?C to +45?C. 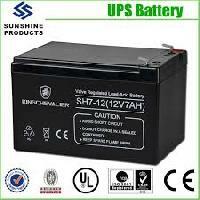 2)If the UPS remains de energized for a long period, It is recommend to energize the UPS for a period of 24 hours, as a minimum each three months. This charges the battery, thus avoiding possible irreversible damage. 3)The UPS is designed for typical climatic and environmental operating conditions concerning the altitude, ambient operating temperature, relative humidity and ambient transport and storage conditions. 4)Using the UPS within the given limits warrantees its operation, but may affect the service life of certain components, particularly that of the battery and its autonomy. 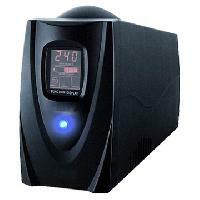 5)The maximum storage time of the UPS is limited due to the need to recharge the battery. 6)Unusual operating conditions may justify unique design or protection measures such as destructive smoke, dust, abrasive dust, humidity, vapour and radiant heat from other sources. 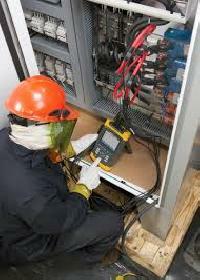 The mechanism and testing of the UPS is significant to its appropriate operation. The UPS shall be installed with all essential features. Features such as, indicators, alarms, control devices, and protective devices are installed to aid in the safe operation of the unit. Power and control modules such as meters, indication lamps, control switches, push buttons, and potentiometers are usually located in a close proximity cabinet. Batteries are typically installed on battery shelves. The design of battery racks varies based on the vacant space and number of batteries. The UPS shall be installed on a level surface with adequate clearance to allow for ventilation and access to safeguarding panels. Static UPSs require environments with a controlled environment where the THD Levels (temperature, humidity, and dust) are carefully maintained. The batteries of the UPS require ventilation of the room to avert hydrogen buildup. The power distribution system of the UPS is designed to provide isolation of critical load and, short circuit protection from sources of surges & harmonics. 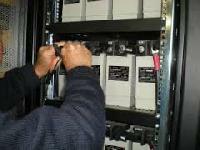 This can be attained by using circuit breakers, fuses and panel boards. 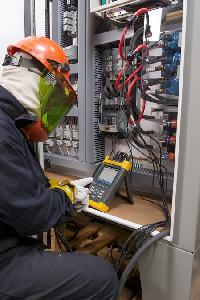 The grounding of the UPS system guarantees the safety of the operating personnel. Testing and activation shall be performed to make sure the component s operation once energized. Testing traces on test forms should be kept for assessment to later regular maintenance tests. The potential breakdowns of the equipment drawn out from the test results should be discussed and corrective action must be implemented. 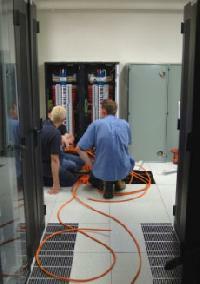 There two main maintenances required for the UPS that consists if preventive and remedial maintenance. The Preventive maintenance consists of planned list of activities. Performing these preventive activities keeps the UPS in healthy condition and helps to prevent breakdowns. On the other hand; The Corrective maintenance is performed as a result of a breakdown. This reactive maintenance troubleshoots and gets the unit working over again.The fundamental static UPS system consists of a rectifier charger, inverter, static switch, and battery. The rectifier provides the DC power to the inverter, receives the normal AC power supply and charges the battery. In order to provide the intended loads, the inverter converts the DC power to AC power. Upon failure of the main AC power source or the rectifier, the DC power will normally be provided from the rectifier and from the battery. The inverter will supply the loads under normal conditions. In the event of the malfunction of the inverter, the static switch transfers the load to an alternate ac source. The rectifier converts the AC input power to DC power with adjusted voltages during normal operation. In order to charge the battery while supplying DC power to the inverter, the output of the rectifier voltage is generally set at the battery float voltage. The rectifier output voltage is periodically set at the battery balance voltage to maintain the battery capacity. To reduce the current ripple content, the DC filter is provided for smoothing out the rectifier output current. The battery acts as a capacitor and in combination with the filter, smoothes out the output voltage and minimizes the DC voltage ripple content. The inverter converts the DC power to AC power with regulated voltage and frequency.